The Jingle Pot area has long been hailed as a rural escape in a growing Nanaimo real estate market. 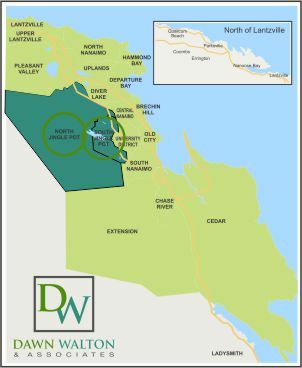 Located at the foothills of Mount Benson, the charming medley of farms, acreages and single-family homes appeals to a wide range of homebuyers. 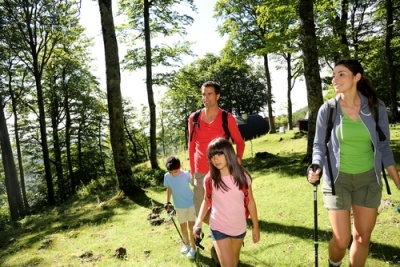 Jingle Pot homes for sale are popular for their close proximity to outdoor recreation. Westwood Lake, Ammonite Falls, and a multitude of parkland makes this an ideal living option for outdoor enthusiasts. This part of Nanaimo has undergone plenty of development in recent years. Brand new subdivisions are popping up towards the north, which offer upscale homes and quick access to shopping and dining in North Nanaimo. Included below are homes for sale in Jingle Pot Area. If you would like more information on any of these Jingle Pot Area real estate listings, just click the "Request More Information" button when viewing the details of that property. We can provide you with disclosures, past sales history, dates and prices of homes recently sold nearby, and more. And, if you haven't already, be sure to register for a free account so that you can receive email alerts whenever new Jingle Pot Area listings come on the market. 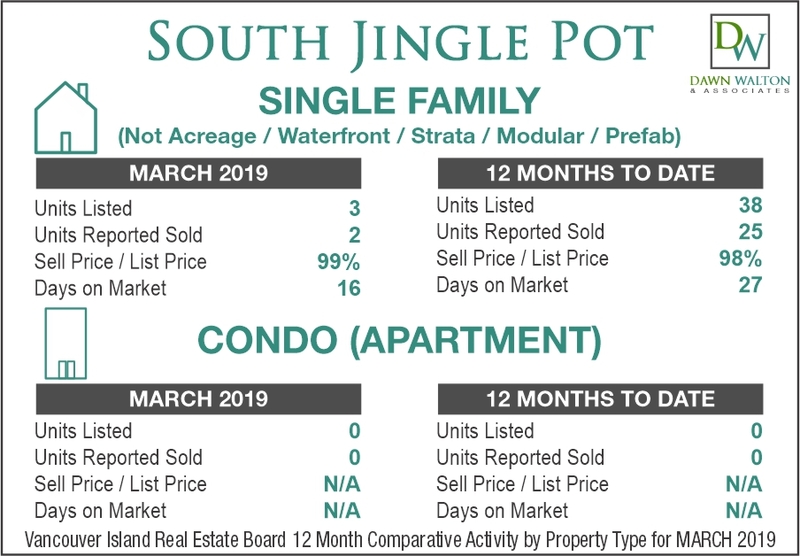 The Jingle Pot real estate market has changed tremendously in the last 30 years. Up until the 1980s, the area was predominantly rural with very few paved roads. Today, higher-end suburban neighbourhoods are being developed at a rapid rate, often selling the moment they hit the market. The scenic views along with quick access to both Downtown and North End shopping makes this a highly desirable area. 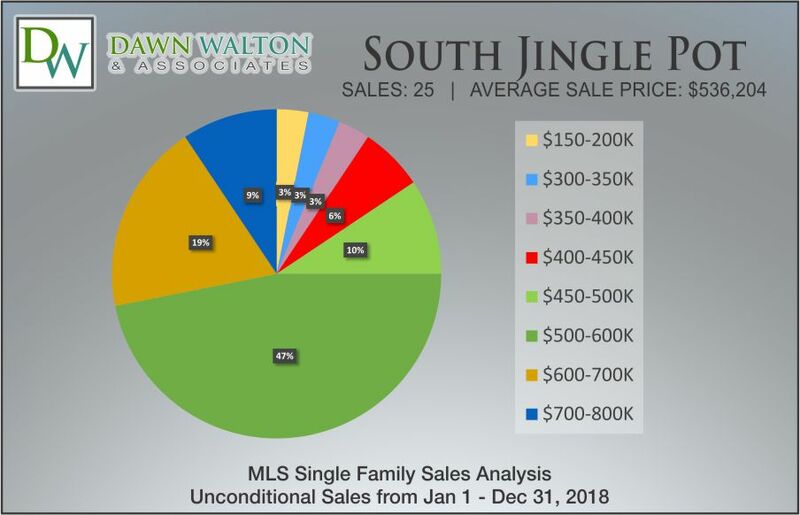 Rising property values reflect the demand for Jingle Pot homes for sale. 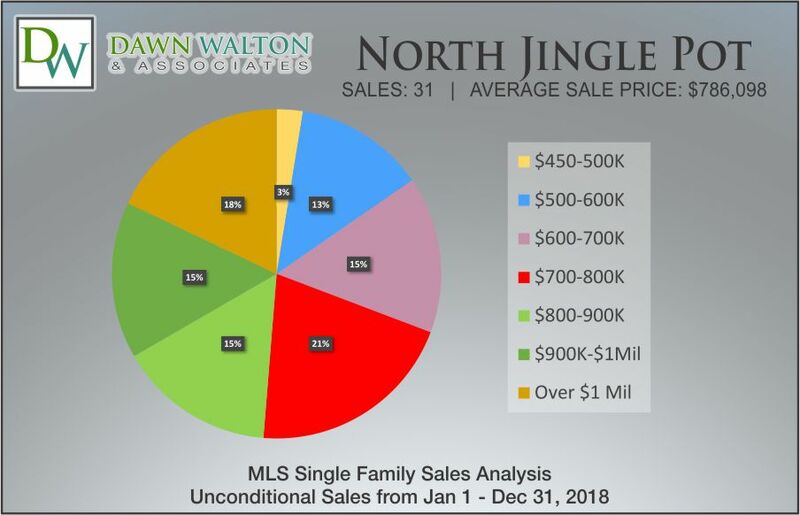 Many people make the move to the Jingle Pot area due to the wealth of outdoor recreation and wide open spaces compared to the rest of Nanaimo. Lakefront homes along Westwood Lake provide instant access to trails, an off leash dog area, water sports and more. The Nanaimo Tennis Club is also located nearby, which is right next to Bistro at Westwood Lake, one of the best restaurants in town. Nearby Mount Benson is also within a stone's throw from most Jingle Pot homes. There's no shortage of back roads and hiking trails to explore. Ammonite Falls and Witchcraft Lake are two popular destinations for hikers. Jingle Pot is also a quick drive from a number of shopping and dining options including Woodgrove Centre's over 100 stores and services. Other nearby conveniences include a Home Depot, Real Canadian Superstore, Costco, Wal-Mart Supercentre, and Petcetera.